Forearm nerve blocks provide excellent anesthesia of the hand including fractures, lacerations, or deep space abscess I&Ds of the hand. 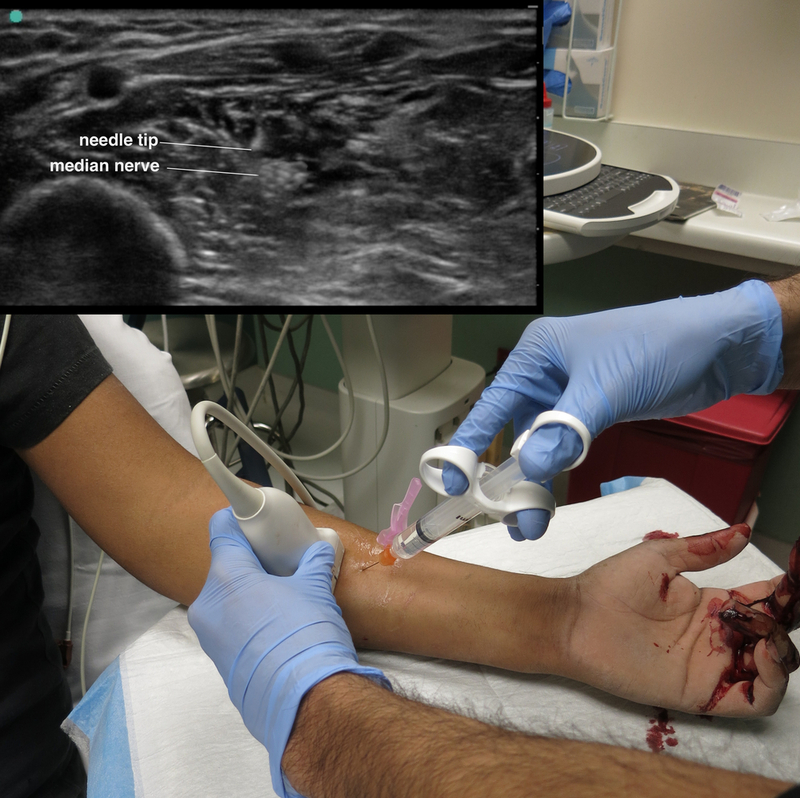 Unfortunately, the forearm nerve blocks do not provide anesthesia to the volar forearm ( musculocutaneous nerve, medial antebrachial cutaneous nerve ) or the wrist ( musculocutaneous, AIN and PIN are missed with forearm blocks). This means forearm blocks of the ulnar, median, radial nerve will provide incomplete anesthesia for distal radius or other wrist fractures.